We’ve become too comfortable with the expression, “I’m not comfortable with…” I hear that phrase used all the time, and it makes me cringe. Someone asks someone else do to something, and that person’s response is that he or she is just “not comfortable with that.” It’s intended to be a polite way of saying, “No.” But is it really? When you are part of a team, and you want to be a good teammate, having an expectation of being comfortable can be a dangerous way of thinking and can keep you from being the sort of unselfish teammate you aspire to be. Team settings require sacrifices, and sacrifices take people out of their comfort zones. If you’re not a morning person, and someone schedules an early morning meeting, of course that will make you feel uncomfortable. You’re not naturally at your best in the morning. If you’re your boss introduces a new strategy that isn’t necessarily a good fit for your talents, of course that will make you feel uncomfortable. You’re not naturally suited for the new strategy. When situations like this occur, don’t consider whether they make you comfortable, consider whether or not they are best for your team. If so, then move forward and accept being content to be uncomfortable, because your sacrifice of comfort is the expectation of being a good teammate. If not, then don’t cop out by telling the person you’re “not comfortable” complying with the request. That’s a selfish response. Be direct and tell the person the real reason you’re declining. It’s not because it makes you uncomfortable—since good teammates don’t mind being uncomfortable—it’s because you don’t believe it’s the right thing to do. Anyone who can’t accept your honest response doesn’t really care about the team, and no amount of politeness is likely to change that person’s egocentric way of thinking. Instead of weighing your choices from the perspective of comfortable or uncomfortable, reframe them in terms of what is best for your team. 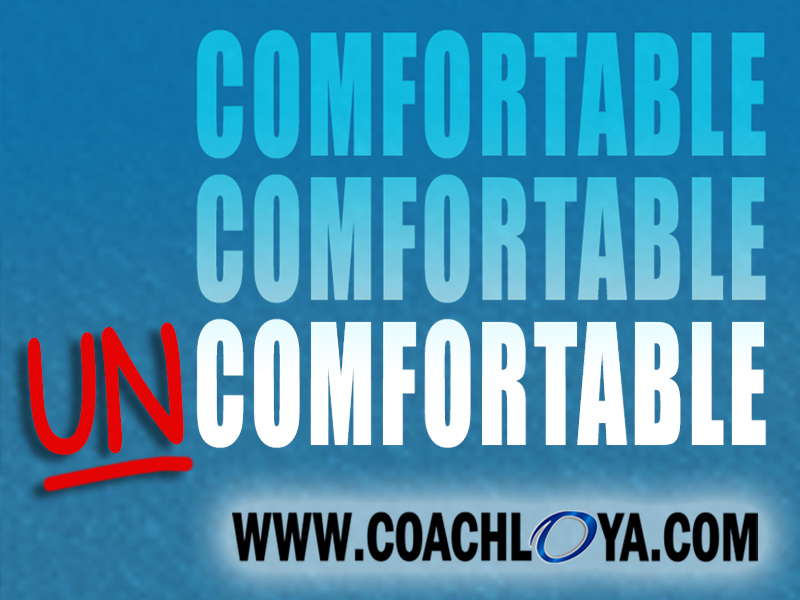 Being comfortable may not allow you to help your team go where you want it to go, but stepping outside your comfort zone just might.